It's cold, wintery weather outside and it's the time of year where everyone gets ill. There are a fair few colleagues of mine at work who have been feeling under the weather and to be honest, I've not been feeling 100% but I'm trying my hardest not to get the bug!! 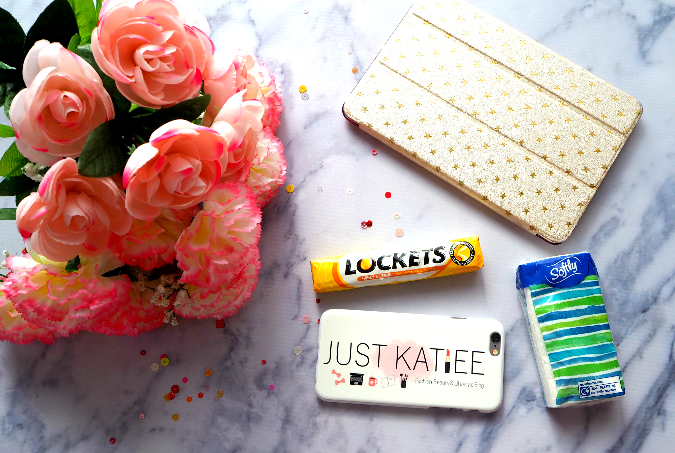 Anyway onto the post..today I thought I'd share with you my pamper essentials for when you're having a sick day at home. These are the things I love to do when I feel crap and am tucked up in bed with a box of tissues and a lemsip. First things first, you need to get into your comfy clothes. My clothing of choice is obviously my Pj's because you can't beat staying in your Pj's when you're ill. Next it's important to decide where you're going to base yourself for the day; do you stay in bed or make a bed in the living room? For me it's usually bed but I tend to sometimes want to watch TV so I do often vacate to the living room too. When I'm feeling unwell I like to drink endless cups of tea and eat lots of my favourite biscuits and keep hydrated with water too. I also have my tissues by my side and my throat sweets and paracetamol to tame the headaches. I always have a hot water bottle with me too because I am always cold. I like to watch TV or Youtube videos during the day and I often blog too as it keeps me relaxed and makes the day go quicker! I sleep a lot too! Whilst I'm relaxing I like to pamper myself by putting a face mask on, painting my nails and cleansing my skin. I also like to have a nice hot bubble bath in the evening to really relax me and help me get a good nights sleep. What are your sick day pamper essentials? Let me know below!